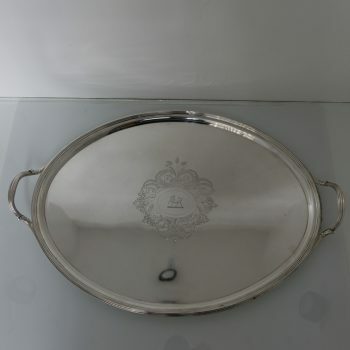 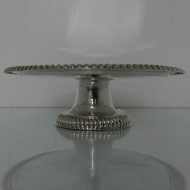 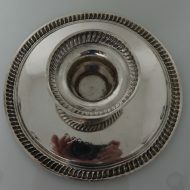 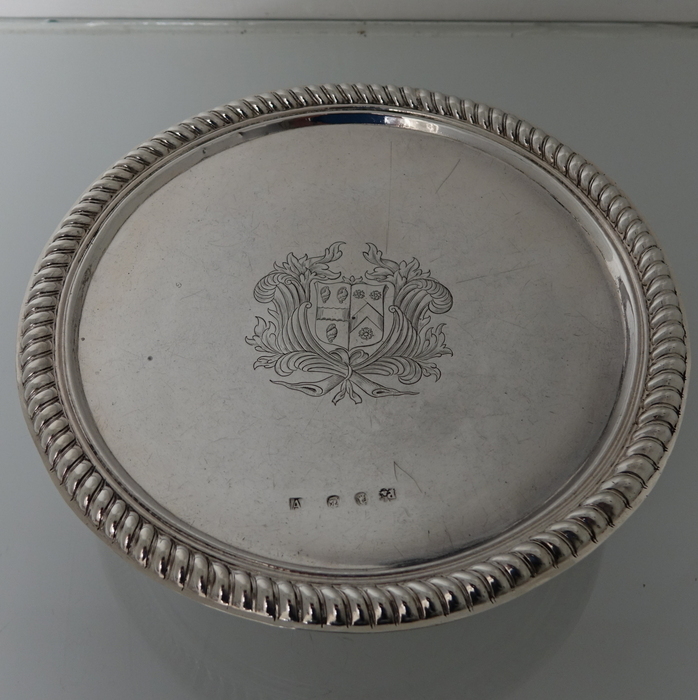 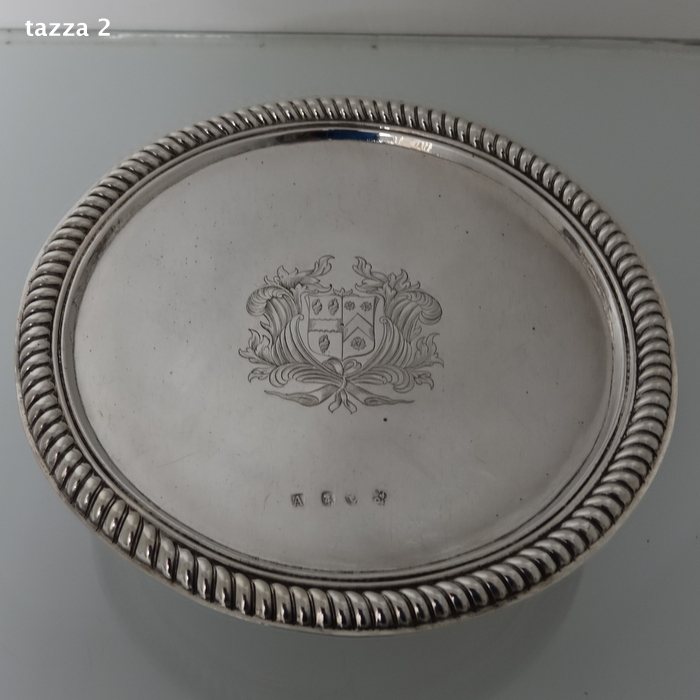 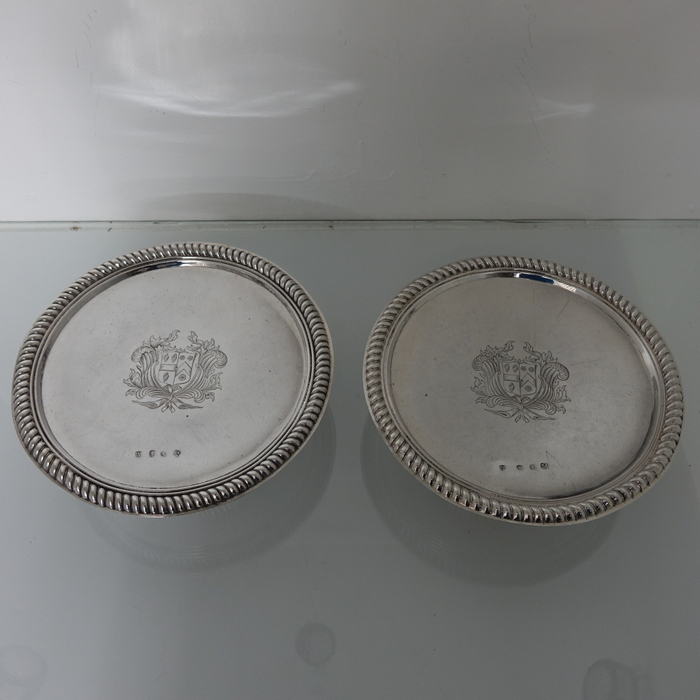 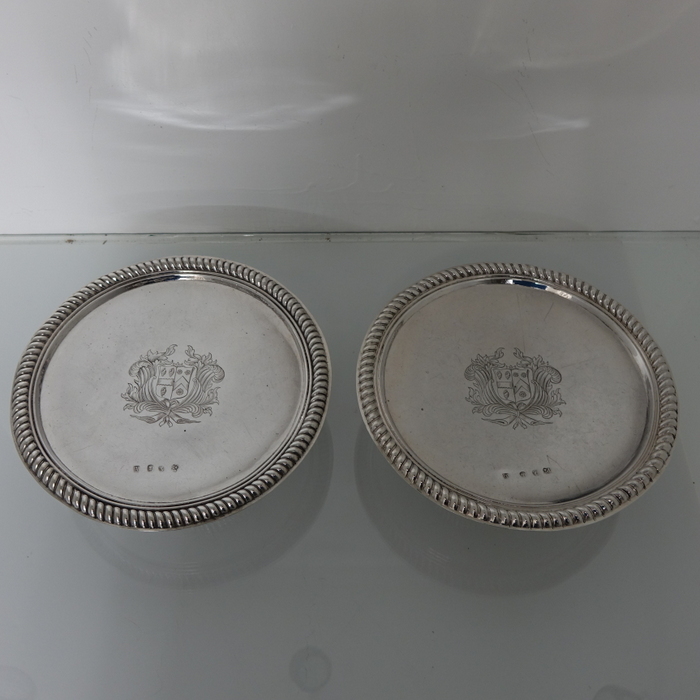 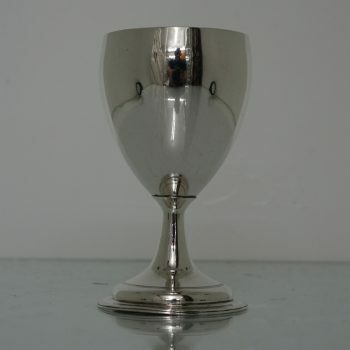 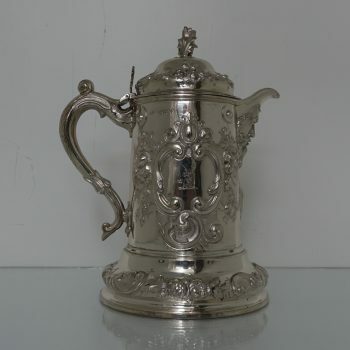 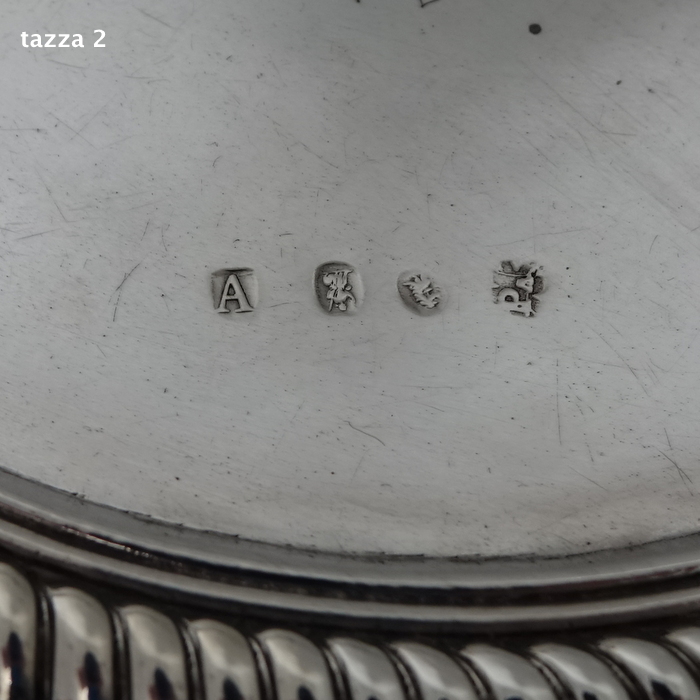 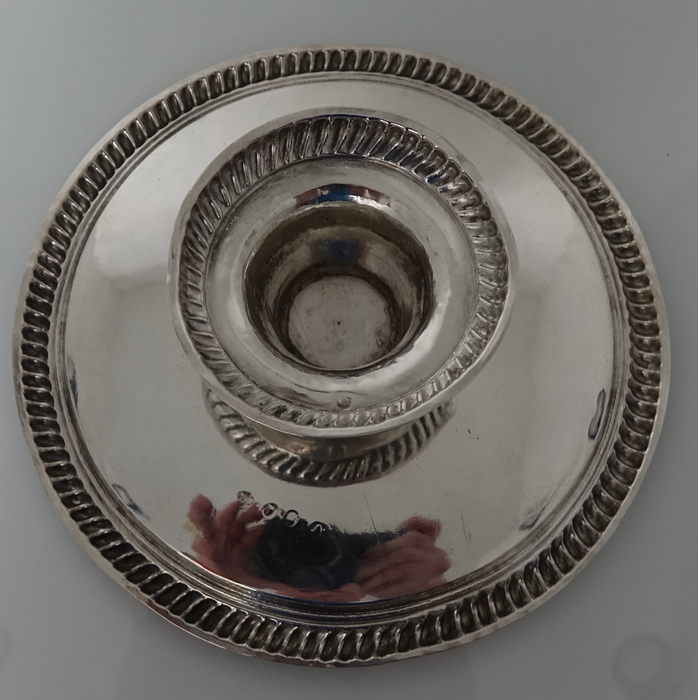 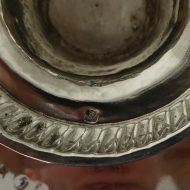 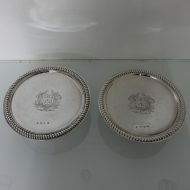 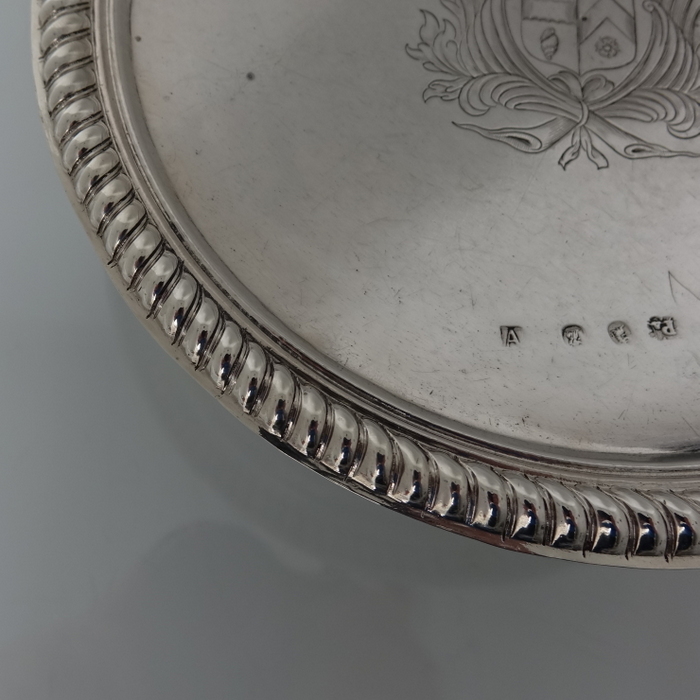 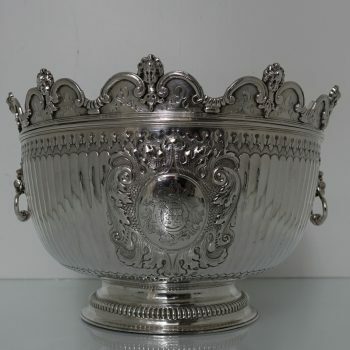 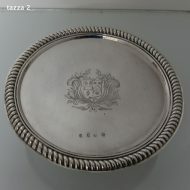 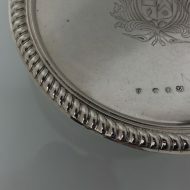 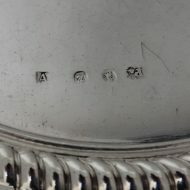 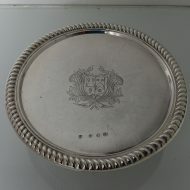 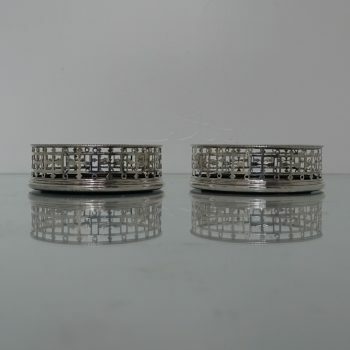 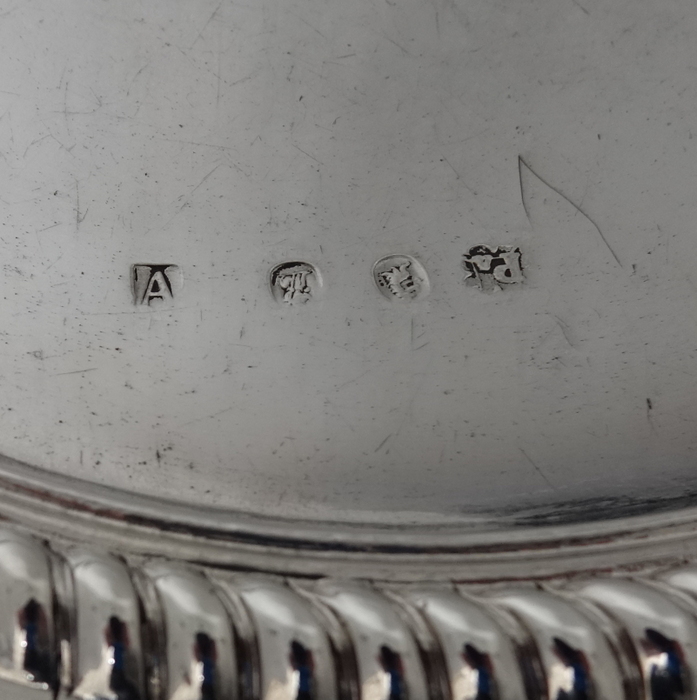 A very elegant and highly collectable pair of early 18th century Britannia standard silver tazzas. 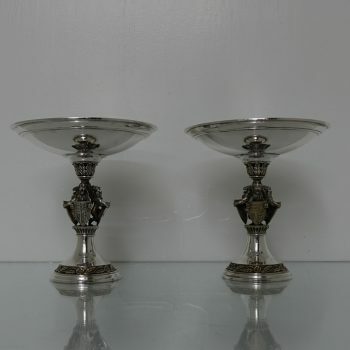 A very elegant and highly collectable pair of early 18th century Britannia standard silver tazzas. 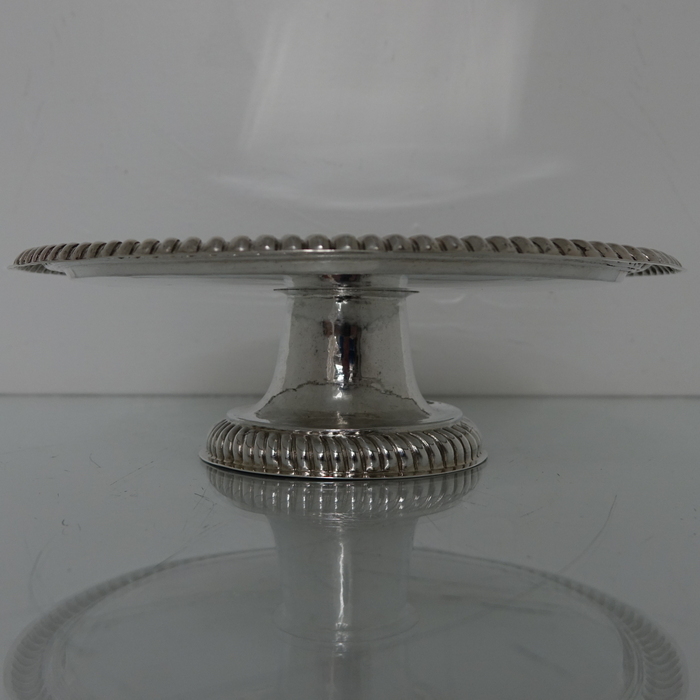 The tazzas sit on a raised pedestal foot and have a very beautiful upper and lower gadroon border for decoration. 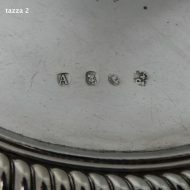 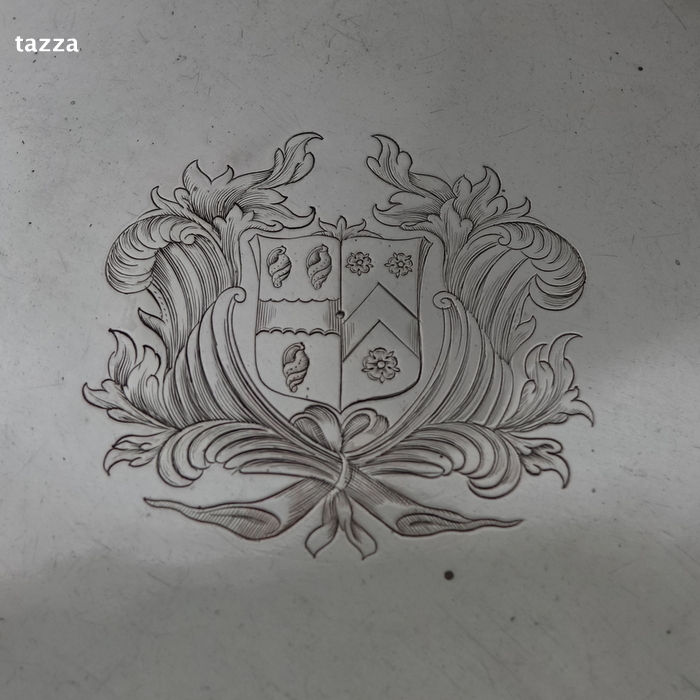 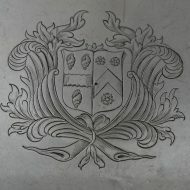 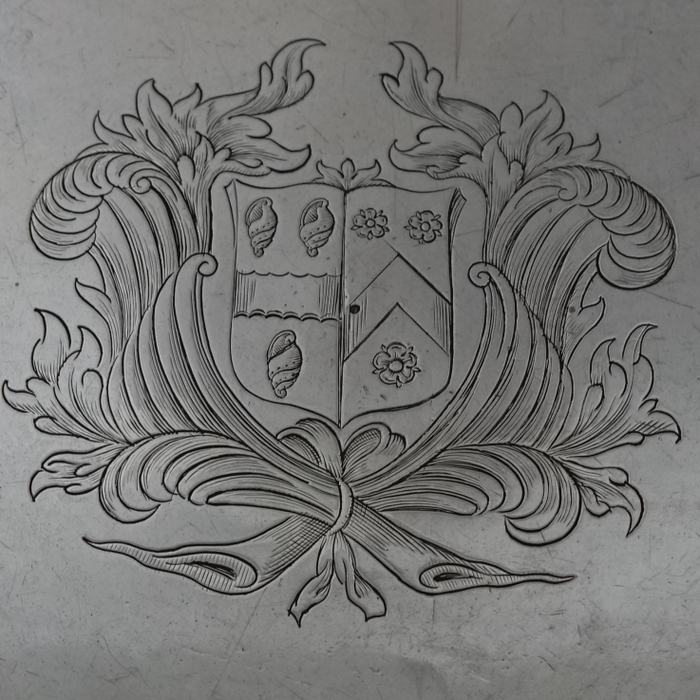 Both tazzas have a very stylish contemporary family coat of arms.